A warm welcome awaits you at the Trevellis Bed and Breakfast, Newquay, Cornwall. 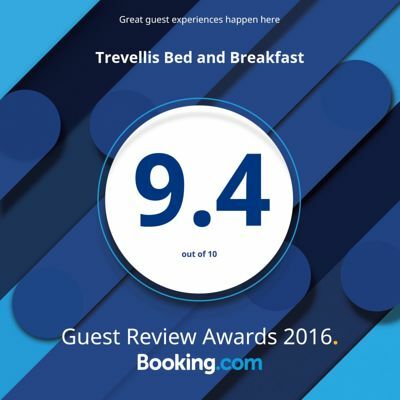 If you are looking for a relaxed, clean and comfortable Bed and Breakfast accommodation in the heart of Newquay, then you could give the Trevellis a try. All Newquay has to offer is on your door step including the town centre, harbour and all the local beaches which are ideal for swimming and surfing. The Trevellis Bed & Breakfast is owned and run by Glyn and Sharan who pride themselves in making every effort to make your stay enjoyable. Cornwall is a county of England in the United Kingdom, forming the tip of the south-western peninsula of Great Britain and being the most south westerly county in England.